“Arthur” has lived on the street for the past 35 years and has tried practically every drug imaginable, from weed and speed to crack and heroin. He also tried “spice” once and has sworn to never try it again. The synthetic drug is supposed to have a marijuana-like high lasting maybe 30 minutes, but Arthur (whose name has been changed) says one spice joint sent him into a manic state for at least 24 hours, causing him to flee Salt Lake City and take a bus to Ogden, believing that unseen people were chasing him. A City Weekly reporter observed spice as a drug of choice for many homeless people, who sell and smoke the drug openly along Rio Grande Street between 200 and 300 South. The drug is used on well-trafficked street corners and even while in line waiting for dinner at the St. Vincent de Paul Center. It’s an issue the Legislature will be tackling again this session, after having banned the drug in 2011, along with bath salts, another synthetic drug. The problem, says Pat Fleming, director of Salt Lake County Substance Abuse & Behavioral Health Services, is that drug manufacturers have been able to easily evade prosecution for the sale of the drug. “The manufacturers of spice and bath salts can change the chemical components so quickly that when we schedule them [as controlled substances], some two or three weeks later, they change key components in them so that they’re not governed under the schedule anymore, so they’re legal,” Fleming says. Tweaking the chemical structures of the drugs causes them to legally become new substances, which have to be added to the list of controlled substances every legislative session. Currently, only the Legislature is able to add new substances to the list. But because Utah has a part-time Legislature, many in the mental-health-services community would like to see the Legislature give the authority to temporarily ban new substances to another group, such as the Utah Controlled Substance Advisory Board, until the Legislature convenes and finalizes the ban. Lawmakers, however, are reluctant to cede that legislative authority. Since the 2011 ban, law enforcement has found little luck in enforcing the rule, since the changes in the drug make prosecutions almost impossible. A review of police calls to the area near the Salt Lake City Road Home shelter found only one charge of synthetic drug possession since 2011. 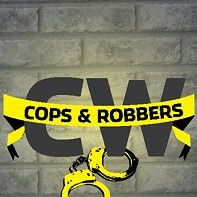 City Weekly’s observations of the area, however, found the drug was widely used by the homeless, who sell and use the drug with little fear of police prosecution. 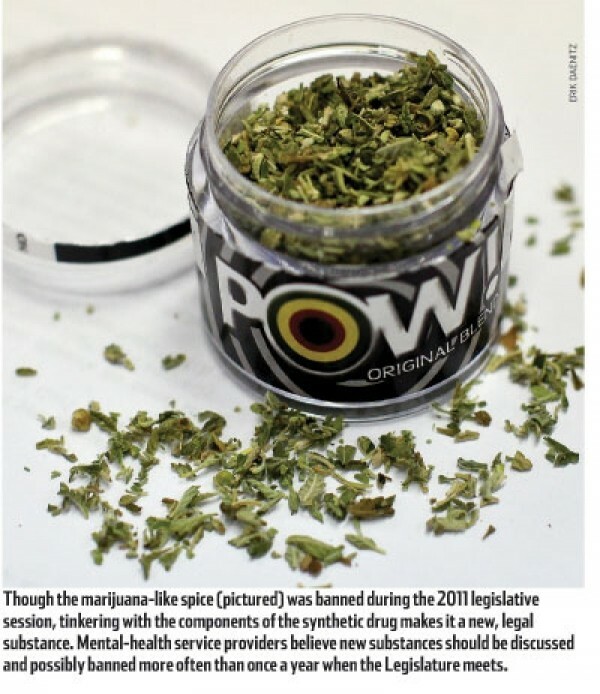 Besides the enforcement loopholes, spice doesn’t give off a unique odor the same way marijuana does, making it hard for a patrolling officer to distinguish a spice joint from a hand-rolled cigarette. Sgt. Michelle Ross, head of the Salt Lake City Police Department’s Homeless Outreach Service Team, says that prosecuting spice dealers and users requires some roundabout enforcement. She says that shelter providers are allowed to ban whatever substance they want from their private property, which allows police to make arrests for trespassing if they receive a report of an individual bringing spice into a shelter or other homeless service center. Spice, which was originally sold as incense, is essentially a very dangerous mystery drug, says Glen Hanson, a University of Utah pharmacologist, Controlled Substance Advisory Board member and former director of the National Institute on Drug Abuse in Washington, D.C. Hanson says the drug can sometimes cause hallucinations or side effects, like those from PCP. Other narcotics, like methamphetamines, are sometimes added to spice. Fleming is concerned that for mentally ill youth, especially between the ages of 18 and 24, spice seems to block the effect of psychotropic medication that generally keeps those individuals from having psychotic breakdowns. Spice bears other costs for service providers, who struggle to deal with it among their clients. Char McCuaig, who does housing outreach for the Volunteers of America, Utah, says that the nonprofit’s drug-detox center has also struggled with knowing how clients will react when undergoing spice withdrawal. She has seen patients act out, become aggressive and experience intense hallucinations. But running a urine analysis for the designer drug costs $50. “Which is difficult for a nonprofit that can’t afford something like that,” McCuaig says. Fleming hopes the Legislature will step up this session and provide more flexibility in the banning of new variants of spice and bath salts. But he would ideally also like to see stiffer penalties put in place for dealers who seem to target vulnerable, mentally ill individuals. Lawmakers, however, still struggle with the idea of banning the chemicals more often than once a year, as they do now. Rep. Paul Ray, R-Clearfield, says a constitutional problem arises with the idea that an outside board could temporarily ban a substance between legislative sessions. He points out that a temporary ban could be overturned in a legislative session, which could mean that people might get locked up for sale or possession of something the Legislature later deems legal. Ray believes that when the Legislature is called into an interim session in the summer, it could then ban new spice and bath-salt variants so as to at least disrupt new spice brands twice a year, as opposed to once a year. Though he believes most legislators would like to see the drug banned as soon as law enforcement identifies new tweaks, he says the constitutional wall they’re up against is hard to surmount. Even if the Controlled Substance Advisory Board, which is staffed with numerous medical experts, understands which drugs should be temporarily banned, a Legislature could disagree and overturn their ban and draw all sorts of legal problems for the state. “Nothing’s ever a slam dunk when you’re dealing with 104 legislators,” Ray says.